The final technical report from the Dutch safety Board on the crash of Malaysian flight MH17 in Eastern Ukraine has just been released. You can download your copy here or go to the Final report page which also provides links to the appendices. (Warning – I don’t think this URL is permanent). Having discussed the previous preliminary report here, and got into a debate on responsibility for the crash, I feel the need to make at least some comment on the final report. My comments will be brief – I have so far not read the complete document. The report is 280 pages long, and there are extra, important, appendices (I think about 26 in total) which are also quite lengthy. Very few people will invest the time to get their head around all these. Well – it could be worse. The report itself does leave the details to appendices – and doesn’t give even appendices for some of the evidence. This video of a recent press conference by the Russian Arms manufacturer gives an idea if the complexity of the issue (made worse in this case by having to rely on an oral English translation). Skip through to the middle if you want to avoid the formal introductions. Most of the likely air-to-air missiles stationed in the area do not contain the “pre-formed elements” (shrapnel) of the shapes found in the crash debris and the bodies of the flight crew. There were no other aircraft in the area at the time. I couldn’t find any mention of the Russian primary radar data released soon after the crash which did suggest two other aircraft were present (these would not necessarily have shown up on the secondary air-traffic control radar if they were military). This was referred to in the preliminary report (see MH17 – Preliminary report leaves most conspiracy theories intact). So, I don’t think the air-air missile scenario is definitely excluded but the surface-to-air missile scenario seems most likely and that is what was tested in computer simulations. 4: A Buk missile with a specific warhead was most likely used. This was based on the recovery of “preformed elements” from bodies of the crew and the aircraft debris. Bow-tie, and square elements were found. The 9N314M warhead contains such elements. Interestingly the missiles on the Buk-1 system (used by the Ukrainian armed forces use this warhead, but not the missiles on the Buk-2 system (used by the Russian federation armed forces). The manufacture of the Buk systems, Almaz-Antey, claim the preformed elements found show an even earlier warhead was used, rather than the 9N314M. These warheads are no longer used in the Russian Federation as they are past their use-by date. But the manufacturer had reported servicing the older Buk systems own by Ukraine in the last 10 years. Simulation modelling was used to find the likely missile trajectory and launch region. The modelling was done by two Dutch groups (NLR & TNO), a forensic group in the Ukrainian Ministry of Justice and the Almaz-Antey company (the manufacturer). While all groups produced similar results using the NLR/TNO data the Almaz-Antey group found a different missile orientation and locality on detonation using their own collected data. This difference is immaterial for the purposes of this report but will be important for the criminal investigation. Incidentally, Almaz-Antey have tested their computer simulations using field experiments involving detonation of a missile near typical material used in construction of the plane and, more recently, the front section of a decommissioned plane very similar to the Boeing. They reported in the press conference in the above video that the experiments vindicated their simulation results. However, the last experiment came too late to influence the Dutch safety Board Report. No one expected identification of the forces responsible for shooting down flight MH17 in this report – and this is not the task of the Dutch Safety Board. More information apportioning blame should appear in the report from the Criminal investigation Team next year. The report drew some conclusions about how authorities and airlines should handle the problem of flights over areas of conflict. Hopefully, this will make airline travel safer in future. In my mind, a scenario involving an air-to-air missile was not completely ruled out (and perhaps the report should have been more qualified about this). However, a surface-to-air missile appears most likely. So, two of the scenarios (involving attack aircraft) I suggested in my article on the preliminary report, MH17 – Preliminary report leaves most conspiracy theories intact, are most likely ruled out. The remaining scenario I mentioned was that the plane was downed by a surface-to-air missile launched by armed forces of the Kiev government, the Russian Federation or the opposition pro-autonomy militias. The old warhead suggests that armed forces of the Russian federation were not involved and most probably rules out the social media story of a Russian Buk system being brought in specifically for the attack and then quickly removed. I think this leaves either the armed forces of the Kiev government (Ukrainian army) or the Donetsk and Luhansk regions fighting for autonomy. The Ukrainian army is known to have weapons of this sort while both Kiev and the rebels claimed the rebels did not. However, there is evidence that the rebels had either captured one or more Buk systems, or had obtained them via defection of military from the Ukrainian army (on the other hand reports from both the rebels and the Ukrainian side have claimed that at least one captured system was not operational). So, still too early to claim we know who shot down MH17. But, of course, that won’t stop the politically motivated blame game that has been going on in the international media (and promoted by some governments) ever since the plane hit the ground. At the first anniversary of the shooting down of Malaysian Airlines MH17 the international community is none the wiser about who shot it down and the weapon used. But the one thing we do know is the blame game continues. The only official report we have from investigators to date was released last September (see MH17 – Preliminary report leaves most conspiracy theories intact). The final report will probably be released in October (see Investigations into MH17 crash expected to go on until year-end, says Najib). But a draft of this final report is now in the hands of interested governments. This has resulted in speculation about its contents and stories which claim to be based on leaks. However, the Dutch investigators, have denied – or at least refused to confirm – the circulating stories. “Dutch accident investigators say that evidence points to pro-Russian rebels as being responsible for shooting down MH-17, according to a source who has seen the report. I am always suspicious of “according to a source” stories – they have so often proved to be no more than the reporter’s imagination. Other reports do not point the finger but say the investigators now have a clear idea of what missile was used. A recent presentation from technical experts in the firm Almaz-Antey which manufactures missiles of the sort which may have been used shows what can be gleaned from the shrapnel fragments in the wreckage and the pattern of damage on the fuselage. Both in identifying the specific missile used (and, therefore, its possible owners) and its trajectory and launch site. This presentation is very technical and quite long but very interesting. Although this presentation was aimed mainly at getting European sanctions on the company lifted by legal action, the material was also supplied to the Dutch Safety Board which is the official investigator of the causes of this tragedy. Almaz-Antey’s conclusion is that, if a BUK missile was used, it was an older model no longer manufactured in the Russian Federation. The Ukrainian armed forces does have these missile systems (see MH17 crash: ‘Old Buk missile used’ – Russian firm). Mind you, that does not prove who fired the missile because the armed forces in the Donbass region may have possessed one or more such systems captured from the Ukrainian armed forces. And may have trained Ukrainian operators who had defected to the rebels. So, at this stage the real causes of this tragedy are still unknown. It looks like we will know something more definite in October. But the geopolitical propaganda struggle continues. I suspect the rumours and unconfirmed stories attributing blame to the eastern Ukrainian rebels are nothing more than propaganda – precipitated by the fact of the anniversary of the tragedy. I have followed events in Ukraine for a year now and learned very early on never to be surprised. There have been so many seemingly outrageous things happen. On the one hand this has kept the Ukrainian events in the news. On the other it probably serves as a warning. There is just so much corruption in that country that anything seems possible. Since August there have been rumours of an agreement between Ukraine, Australia, the Netherlands and Belgium about revealing information from the MH17 investigations. Specifically an agreement on nondisclosure – that the results of the investigation will be published once completed only if a consensus agreement of all parties that have signed the agreement prevails. Until recently when I came across this letter which appears to be a response to a Freedom of Information request in Australia. I had hoped that assurances made at the UN Security Council meetings that the investigations of the MH17 tragedy would be transparent were genuine. This agreement seems to contradict the assurances and is particularly concerning as the current Ukraine government, or elements within it, is a possible suspect for criminal actions leading to the crash. The non-disclosure agreement itself is classified! What the hell could be in the agreement which makes it a state secret in Australia, Ukraine, Belgium and the Netherlands? Malaysia, whose airline owned the crashed plane and whose citizens comprised a significant number of the victims has been excluded. Yes, I know nondisclosure before a report is normal and reasonable. Even sensible because of the rumour mongering and political maneuvering around such events – particularly this event. But why make the nondisclosure agreement itself a state secret? What could they have to hide? And why exclude Malaysia? I have picked up excuses relating to the existence of a death penalty in Malaysia – but how should that effect this agreement? Malaysia is often described as cooperating in the investigation, or as a member of the investigation team. But they have formerly been excluded from this agreement – and possibly others. I can’t help feeling this has more to do with the fact that Malaysia has got off-side with the Kiev government because it was prepared to negotiate with the authorities in the crash area. That contact enabled early progress in recovery of the black boxes and bodies. The OSCE observers also were able to give early help because of their contacts with these authorities. In contrast, the Dutch investigation and recovery teams have been extremely tardy because of their unwillingness for direct contact. And their apparent subservience to the wishes of the Kiev government who have discouraged this contact. Many wild accusation have been made against Vladimir Putin, the president of the Russian Federation, over this incident. But he at least retained the moral high ground when he warned governments and politicians not to use this tragedy for political purposes. I think that warning was humane and important. Those using this tragedy for political purposes are showing the worst form of disrespect for the almost 300 innocent victims. But won’t the governments and investigators who conspire to withhold information or findings also be showing the same disrespect? Malaysia annnounced last week, 4 months after the above agreement was signed, it has been accepted as a full member of the MH17 joint investigation team (see MH17: Malaysia to help identify perpetrators: Liow. I cannot find any indication that this means it has signed the secret non-disclosure agreement or not. 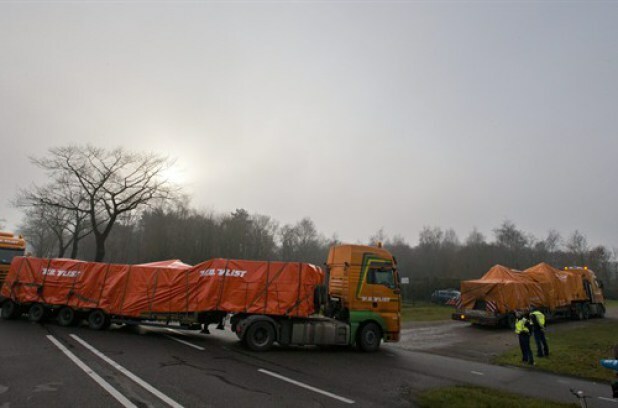 Also, the Dutch investigation team did eventually get around to negotiating with the local authorities in the crash area – and this lead to rapid decisions (on November 20) on collection and removal of the wreckage to the Netherlands. This could have happened so much more quickly. 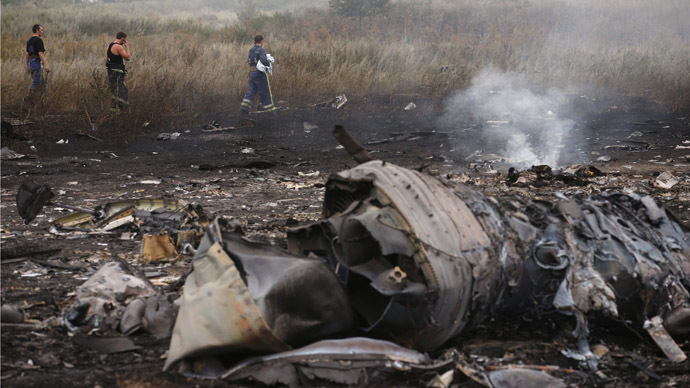 Malaysia Airlines Flight MH17 – what really happened? Three months after the loss of Malaysia Airlines Flight MH17 over Ukraine the world is no wiser about what, and who, caused this crash. Well, we have the preliminary report but this only confirmed the bleeding obvious (“the aircraft was penetrated by a large number of high-energy objects from outside the aircraft”) and did nothing to either support, or undermine, the various theories circulating about this tragedy (see MH17 – Preliminary report leaves most conspiracy theories intact). This new documentary probably won’t decide viewers one way or the other either. But it at least presents more evidence, more objectively, than our media usually presents and does not force a predetermined political agenda down the viewer’s throat. If nothing else, it keeps the issue alive. We should not forget this tragedy and we should identify its causes and perpetrators. It’s not as if we are short of evidence – just short of the political will required to allow its collection and fearless presentation. From the documentary makers – RTD Films. Three months after Malaysia Airlines Flight MH17 was violently brought down from the skies over Ukraine, there are still no definitive answers to what caused the tragedy. Civil conflict in the area prevented international experts from conducting a full and thorough investigation. The wreckage should have been collected and scrupulously re-assembled to identify all the damage, but this standard investigative procedure was never carried out. Until that’s done, evidence can only be gleaned from pictures of the debris, the flight recorders or black boxes and eye-witnesses’ testimonies. This may be enough to help build a picture of what really happened to the aircraft, whether a rocket fired from the ground or gunfire from a military jet.